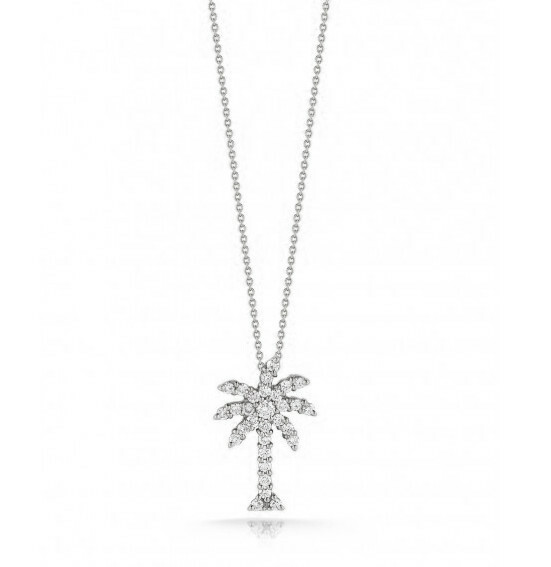 Roberto Coin's large palm tree necklace from the Tiny Treasures collection is the perfect embellishment for those days that you just want to get away from it all! The 18kt white gold charm is fashioned with vibrant white diamonds. 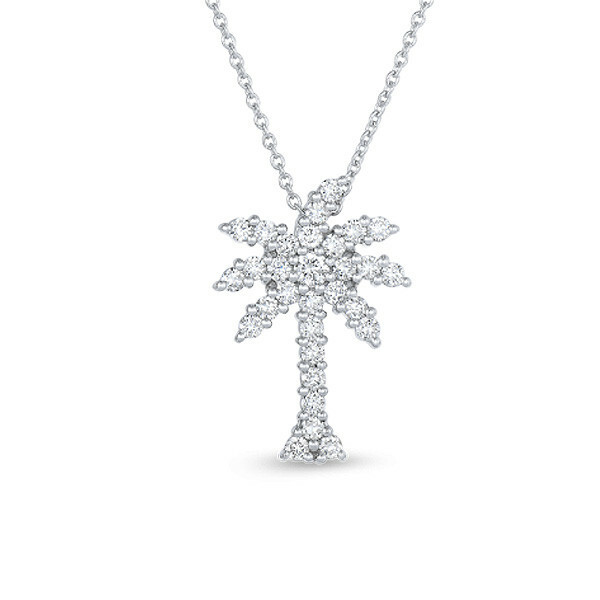 Dangling from a white gold chain, this pendant's necklace adjusts from 16" to 18" for a great fit. Make your island escape with Roberto Coin's amazing medallion.